Louise Koppelman 91, of DeWitt, died Friday at Crouse Hospital. Born in Syracuse, she attended Central High School. She worked as a bookkeeper for many years until her retirement. She was a member of Temple Adath Yeshurun and its Sisterhood, an active member of Hadassah for many years. She particularly enjoyed spending time with her wonderful friends at The Oaks, playing mahjong, Rummikub, bingo, trips to casinos, and other activities. 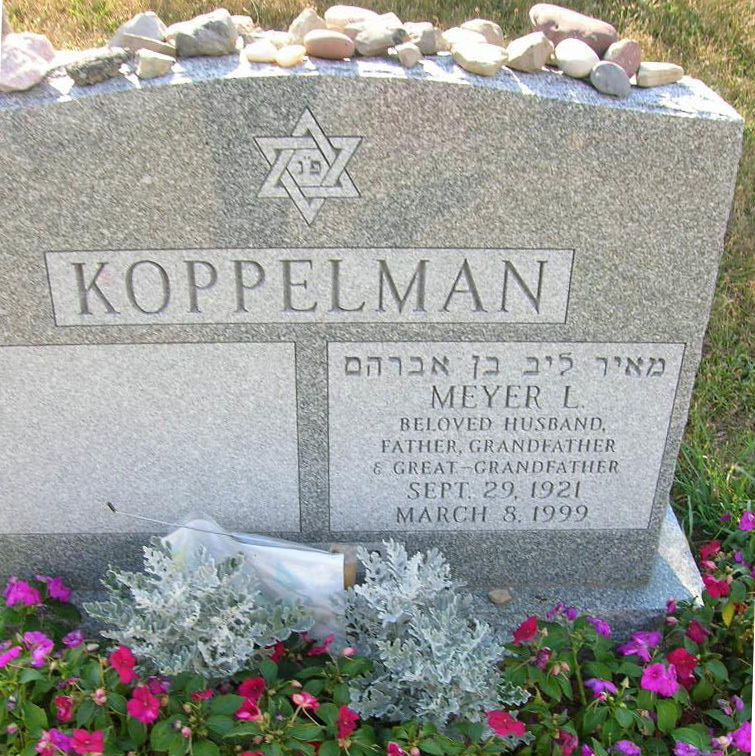 She was predeceased by her husband of 56 years, Meyer, sister, Mary Katzman, and parents John and Madeline Samwebber. Survivors include her four daughters: Roberta Koppelman Patterson (Joseph); Gail Koppelman Sebelowitz (Irwin); Judy Koppelman Cronin (John); and Susan Koppelman Cohen (Stuart) eight granddaughters, eight Great-Granddaughters, and for great-grandsons. Funeral services will be conducted at 1:00 PM Sunday, June 18th at Birnbaum Funeral Chapel 1909 E. Fayette Street, friends may call from 12:00 to 1:00 PM at the funeral chapel. Shiva will be Sunday after the funeral at the Oaks and Monday from 1-8:00 PM at the Oaks. Contributions in her name may be made to the American Cancer Society or the American Heart Association.